Out on December 11, 2018, Desert Child gets a new trailer at the Kinda Funny Games Showcase. During the Kinda Funny Games Showcase today, a new trailer for Desert Child was revealed. Developed by Oscar Brittain and published by Akupara Games, the trailer begins with a jazzy tune setting the tone of the upcoming game. 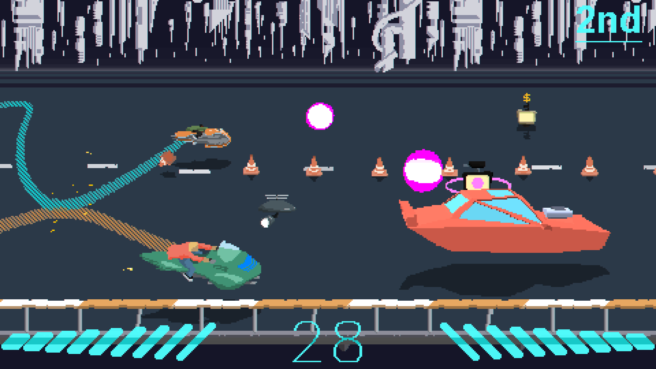 It then slides to some gameplay, which is pretty reminiscent of that bike level from Battletoads but with humans and hoverbikes inspired by Akira; it seems fast and frantic while its visual style is simple and clean. Check it out below. 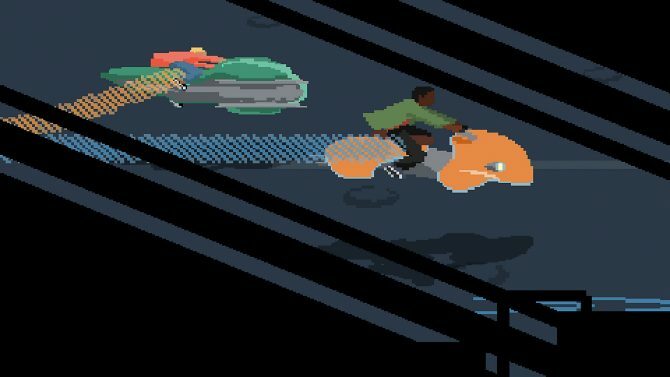 Just yesterday, we reported that Desert Child would be coming to Microsoft’s Winter of Arcade sale. With nine games in total, any game purchased during the promotion will get you a $5 dollar gift card after your first purchase. That means if you purchase all nine, you’ll get $40. The catch is you’ll have to use the earned cash within 90 days after redemption. Desert Child was just one of a plethora of games mentioned during the Kinda Funny Games Showcase. 69 games in total were shown, ranging from small indies to a couple bigger games. My personal favorite announcement was Judgment (also known as Judge Eyes) receiving a release window for the West. A few games shown during the showcase were released today, including Quarantine Circular on the Nintendo Switch. You can check out the site for more announcements from the show. Desert Child will be available for PS4, Xbox One, Nintendo Switch, and PC on December 11, 2018. 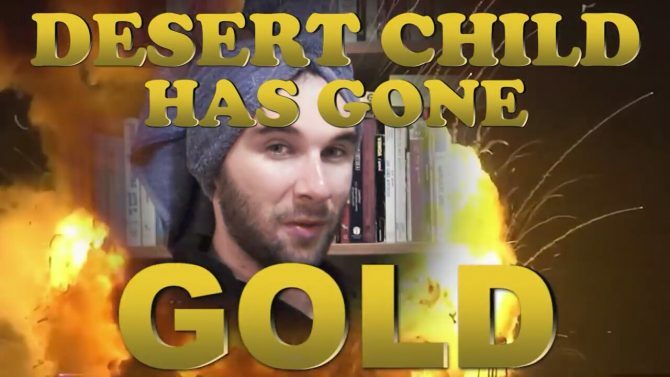 Desert Child is a confusing game and parsing whether it has deeper meanings that are unclear, or just non-existent, is exceedingly frustrating.